Santa Monica, CA /PRNewswire/ -- Continuing the tradition of preserving and celebrating great recordings, The Recording Academy announces the newest additions to its legendary Grammy Hall Of Fame collection. Highlighting diversity and musical excellence, the collection acknowledges both singles and album recordings of all genres at least 25 years old that exhibit qualitative or historical significance. Through a tradition established nearly 40 years ago, recordings are reviewed annually by a special member committee comprising of eminent and knowledgeable professionals from all branches of the recording arts, with final approval by The Recording Academy's National Board of Trustees. With 25 new titles, the list currently totals 906 and is displayed at the Grammy Museum. 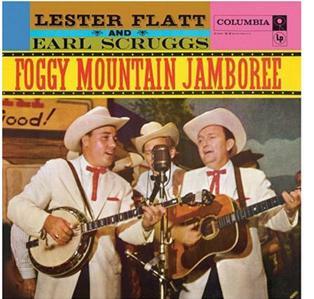 Representing a great variety of tracks and albums, the 2012 Grammy Hall of Fame inductees include Columbia Records' 1957 Bluegrass album, Foggy Mountain Jamboree by Lester Flatt and Earl Scruggs. Other inductees range from Bruce Springsteen's Born In The U.S.A. album to civil rights activist Dr. Martin Luther King Jr.'s "I Have A Dream" speech from his historic 1963 address at the March on Washington. Also on the highly regarded list are Cole Porter's "Anything Goes," the Rolling Stones' album Exile On Main St., Gloria Gaynor's "I Will Survive," Grandmaster Flash & The Furious Five's single "The Message," Bill Cosby's comedy album I Started Out As A Child, the Original Broadway Cast recording of "St. Louis Woman," and Tina Turner's "What's Love Got To Do With It." Others inductees include the entire Anthology Of American Folk Music, Gene Autry, Crosby, Stills, Nash & Young, Doris Day, the Serge Koussevitzky-conducted Boston Symphony Orchestra, Los Panchos, Santana, and Paul Simon, among others. For more information about the Grammy Hall Of Fame or the 54th Annual Grammy Awards® (to be broadcast live on Feb. 12, 2012, at 8 p.m. ET/PT on the CBS Television Network), please visit www.Grammy.com . For updates and breaking news, please visit The Recording Academy's social networks on Twitter and Facebook: www.twitter.com/theGrammys , and www.facebook.com/theGrammys . Established in 1957, The Recording Academy is an organization of musicians, producers, engineers and recording professionals that is dedicated to improving the cultural condition and quality of life for music and its makers. Internationally known for the Grammy Awards — the preeminent peer-recognized award for musical excellence and the most credible brand in music — The Recording Academy is responsible for groundbreaking professional development, cultural enrichment, advocacy, education and human services programs. The Academy continues to focus on its mission of recognizing musical excellence, advocating for the well-being of music makers and ensuring music remains an indelible part of our culture. For more information about The Academy, please visit www.Grammy.com . For breaking news and exclusive content, join the organization's social networks as a Twitter follower at www.twitter.com/theGrammys , a Facebook fan at www.facebook.com/theGrammys , and a YouTube channel subscriber at www.youtube.com/theGrammys .